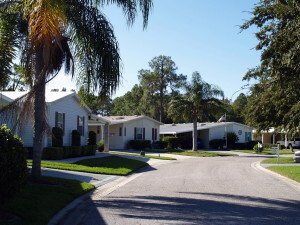 Cypress Lakes in Lakeland, Florida, has an excellent selection of mobile homes for sale. However, any one particular home at our 55+ community typically doesn’t stay on the market long, as Cypress Lakes is a highly desirable place for active adults to call home. Owned and managed by award-winning developer Blair Group, Cypress Lakes offers resort-style living in a pleasant residential environment where a premium is placed on staying active, having fun, and stretching one’s savings to the fullest. Cypress Lakes residents also have the ability to participate in a wide range of organized activities on a daily basis. Day or night, on- or off-site, our Activities Calendar is always full of fun, stimulating activities to get involved in. We even have over 60 organized clubs covering a wide assortment of interests, such as golf outings, bowling, pickleball, bingo, euchre, ballroom dancing, Bible study, yoga, computers – the list goes on. For more information about Cypress Lakes – and to request a current listing of the mobile homes for sale at our 55+ community in Lakeland, FL – contact us today.